This review is about item#35125115. Masks are indispensable for bike tooling. 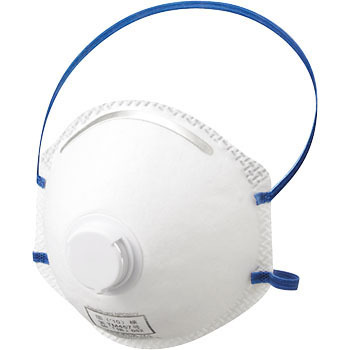 There are only good masks to prevent diesel hazardous emissions such as dump trucks and buses and harmful loads (such as asbestos) from entering the lungs. In the mask with the exhaust valve recommended by the rider doctor, I think this is the easiest to use and the price is reasonable. I highly recommend it to riders. I think that we will take a second step to adopt a mask with a valve because the value is extended somewhat. However, in the hot summer season tend to be avoided because the inside of the mask steams with breath and breathing becomes painful. If this is the case, we can suppress such problems and repeat trial and error, such as comparing with other companies' equivalent products, but the shapes that fit the face are also highly valued from the field workers. I recommend it at least worth the price.